If you happen to be an audiophile (or at least someone who knows exactly how they want their music to sound), and you use an Android device, you’re in luck … there are plenty of tools that can help you achieve that sound nirvana. One such tool is the equalizer. With this tool you can adjust various frequencies in order get the perfect sound on your mobile device. Here are 10 such apps you can install from the Google Play Store. 10 Band Equalizer is a free app allows you to adjust 10 different frequencies, to create the exact sound you want. Most equalizers you’ll find for Android are limited to 5 bands, so 10 Band Equalizer allows you to refine that sound much further than the competition. This equalizer adjusts the frequency from 31Hz to 16kHz and from a range of 10dB to -10dB. 10 Band Equalizer has a built-in music player. In order to make use of the built-in music player, files must be placed in the Android Downloads directory. 10 Band Equalizer opens as an overlay, so whatever app you have open, this app will appear over it. Once opened, you can manually adjust the frequencies or select from one of the preset options. The app does a great job of adjusting the sound, so the change is quite noticeable. 10 Band Equalizer does include ads, and there is no pro version to remove that functionality. 10 Bands of EQ for high customization. Works with most music apps. No premium version to remove ads. Equalizer has a very clean interface and makes it very easy for anyone to adjust the sound on their device. Equalizer does include a manual frequency adjustment option (limited to only 5 bands), but the included presets are quite well defined. To get to the manual adjustment, tap the upward pointing arrow in the main window. Equalizer also has a nifty feature called Preset auto-detect. What this feature does (when enabled) is to detect the best matching EQ preset, based on the song you are currently listening to. The Preset auto-detect actually does an outstanding job of matching preset to song. Also included you will find bass boost, surround sound, and sound amplifier. Preset auto-detect does a remarkable job. Limited to 5 band EQ. Bass Boost and Equalizer is a 5 band EQ for Android that also allows you to boost the base as well as adjust a 3D effect for your music. The allows you to manually adjust the EQ, and also includes 16 presets to suit just about any style of music. Of all the EQ apps we’ve used on Android, we’d have to give the Bass Boost and Equalizer presets the nod for some of the best on the market. The app also includes a widget, so you can gain quick access to sound control from the Android home screen. Bass Boost and Equalizer works with most music players available for Android. The free version of the app does include ads, but you can remove the ads by watching videos to collect coins (10 coins per video and you need 50 coins to remove the ads). Includes a home screen widget. Some of the best presets on the market. Must watch videos to remove ads. You won’t hear much difference with the the Virtualization effect, unless you are wearing headphones (and even then, it’s a very subtle difference). Fortunately, the effects aren’t just On/Off. You can enable them and then adjust how much of the effect you want to add to your sound by moving the slider to the right or left. You’ll find quite a lot of EQ presets in the Profiles tab, as well as the ability to add new profiles. Equalizer FX is free and does include a bar of unobtrusive ads at the bottom of the window. Plenty of presets and the ability to add more. Headphones Equalizer not only does an outstanding job of making adjusting your music simple, it also integrates with whatever music player you are using, such that you can control the music that is playing, without having to exit out of the EQ app. You can adjust the volume, pause, go back, skip forward … all from within Headphones Equalizer. Of course, the app also allows you to manually control a 5 band EQ, as well as select from a few presets. Headphones Equalizer is free (without ads) and also offers a paid version that unlocks a few added features. Integrates into your favorite music player. Makes adjusting your sound simple. If you’re looking for a fairly basic equalizer app, one that offers a 5 band EQ, a few presets, volume boost, and can even boost Android system sounds (such as your phone ringer), then Sound Equalizer For Android might be the app you’re looking for. The only caveat to this app is that it functions as an overlay, so it’s not a full-screen app. There is one unique feature for this in that, while open, it will display a visual ring waveform of your music. This particular app is fairly simple, but it does get the job done. Sound Equalizer For Android is free and doesn’t include ads. Very basic, so anyone can use it. 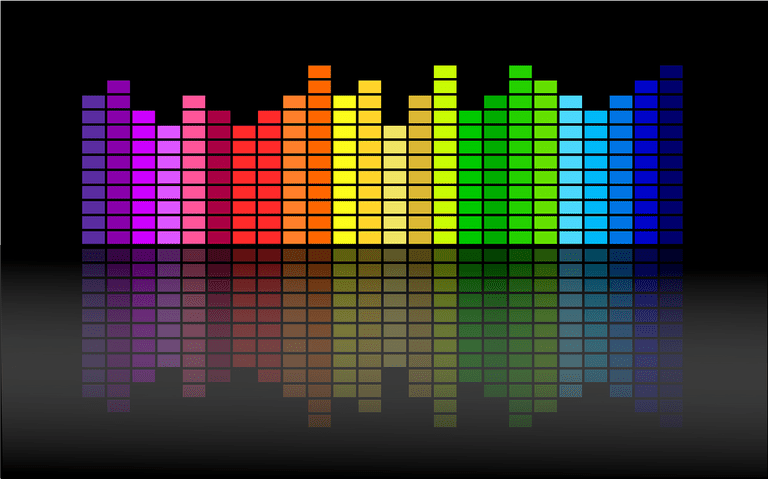 Equalizer Music Player is designed specifically to work with YouTube Music. In order to get that functionality to work, you have to have that particular app installed as well. However, if you are a fan of YouTube Music, this app should be considered must-have. But EMP isn’t only capable of adjusting the EQ for YouTube Music. The app also includes a built-in music player, so any tunes you have downloaded on your device can be played from within the app. There are no preset EQs to choose from, so you have to build your own set of custom adjustments. You can, however, choose from a small selection of rooms for which to listen (such as small room, medium room, large room, medium hall, and large hall). So even if you’re not using YouTube Music, Equalizer Music Player does a great job with your local music collection. The app is free and doesn’t include ads. Works great with YouTube Music. Woofer Equalizer is about as basic as it gets. You can listen to your music, from whatever app you want, open Woofer, and adjust the 5 band EQ, boost the bass, adjust the loudness, or adjust the virtualizer. Along with the ability to manually adjust the 5 band EQ, you can select from nine presets. The app also includes a nice VU meter and a volume control. The VU meter can be set to full screen, so if you like to watch volume bars bouncing along with your music, Woofer has you covered. The app is free, but does display a small bar of ads at the bottom of the window. Outstanding VU meter that can be used full screen. Although VLC is actually a media player (for both audio and video files), it does include a 10 band EQ. The built-in EQ can be easily adjusted and you can even select from one of eighteen presets. The EQ works well, but it is slightly awkward to use, because it only displays 4 bands at a time (so you have to scroll to the left or right to adjust every band). This caveat is well worth making use of VLC’s built-in EQ. VLC is often considered to be one of the finest media players on the market. Those hoping to use the VLC EQ for other music apps will find themselves disappointed, as it only works within the app itself. The app is free, open source, and contains no ads. One of the best media players on the market. 10 Band EQ can be awkward to adjust. Neutralizer isn’t your typical Equalizer. What this app focuses on is building a sound profile based on your hearing. Instead of offering a standard EQ to adjust, Neutralizer uses a hearing test to adjust the sound based on your personal ability to hear certain frequencies. It’s complicated (and takes some time to learn), but it’s well worth the effort. If you consider yourself an audiophile, and understand how personal sound taste can be, Neutralizer is the app for you. It is highly recommended that you do not use this with the built-in device speakers, but rather headphones. Neutralizer does work with most music players and allows you to add multiple profiles. A profile is added by adjusting the sound of each frequency until you can barely hear the tone. Once you’re done, save the profile and the sound you hear will be customized perfectly to your hearing. The app is free, contains no ads, and does offer in-app purchases. Perfectly adjust sound to suit your hearing. Works with most audio players.